I've been looking at a few foundations recently, almost as if i'm on a quest to find my perfect foundation. Or as makeup lovers call it, 'HG'. I only started paying attention to foundations maybe in 2007/08, i think? Only after nak kahwin sebenarnya. 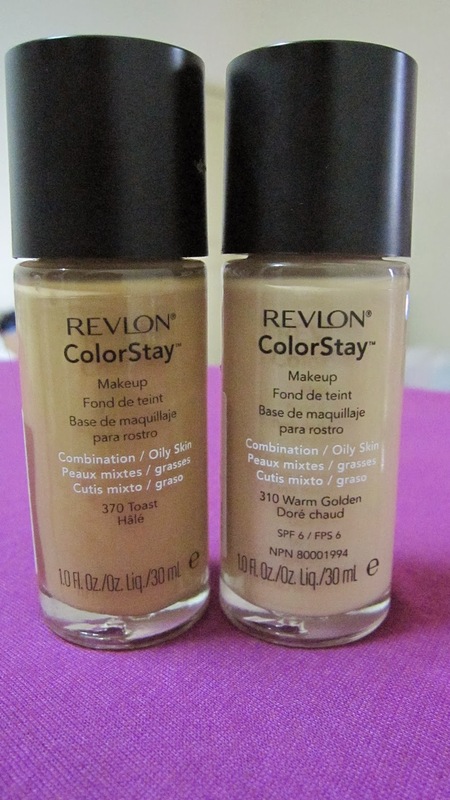 I started out with foundations from pharmacies ('drugstores' as some of you might call them): Revlon Colorstay and a foundation by L'Oreal whose name i can't recall. Fast forward a few years, i still haven't found my THE foundation. It's not as frustrating as it sounds; the only reason why i haven't found it is because i do not have the resources (a nice alternative to 'money') to try every single best seller foundations out there. L'oreal True Match in N7 - This shade is sooo close to my colour, but as it is in the "Neutral" group, it ends up looking slightly ashy on my face. If ONLY Malaysia carries the 'W' range till W7! (for the record, the pharmacies here only carry up to W5) I would love, love, LOVE to get my True Match shade though, but maybe when i go overseas i'll hunt for this. Update: I wrote a review on shade W7 in In Retrospect: L'oreal True Match Foundation in D/W7 Golden Amber. Click on the link if you're interested! MAC Studio Sculpt in NC42 - A tad too light for me, but i love the finish though: dewy and relativey natural. It's not the best for my skin though, as after a few hours, my skin just turns into oil slick. Then again it does that with all foundations i've tried, but with this one the oil production or something is faster. MAC Studio Fix Fluid in NC45 - I got this hoping that the oil control would be better compared to Studio Sculpt, and it is. The only thing was, i went into the store hoping to get this in same shade as my Studio Sculpt, but i had totally forgotten if it was NC42 or 45 as the assistant presented me with the shades closest to my colour. She tried both on either side of my face and decided 45 is a better fit for me. I agreed with her, at the time, anyway. Does anyone else think MAC stores have terrible lighting? Is it just me? I have read one makeup enthusiast commenting the same thing online though. When i went home and looked into the mirror, "Oompa loompa" was all that popped into my mind. So i think NC42 is a better shade for me, but still not the best. I'm guessing i'm NC43 then, based on this. 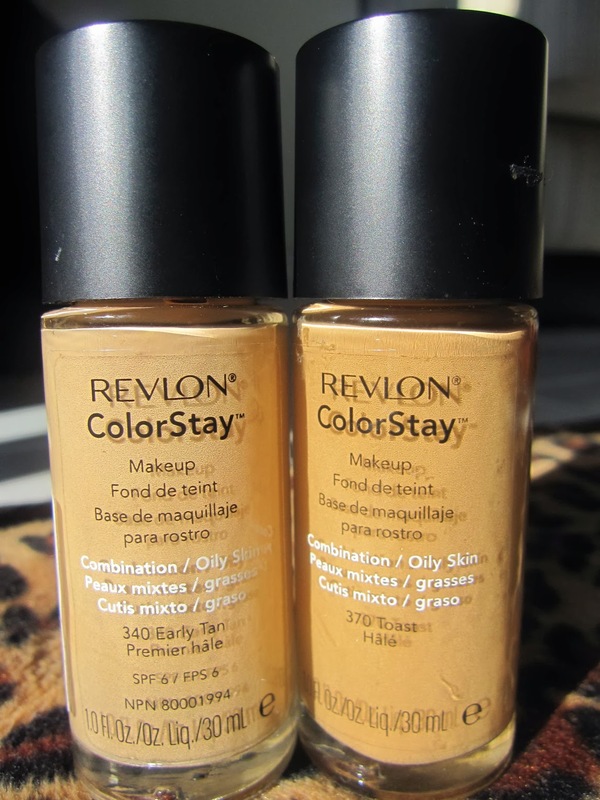 Revlon Colorstay Oily/Combination - I have all five available shades (yes, they only have five shades in Malaysia, and they don't even carry the 'Dry/Normal' formula. i'm guessing they assume everyone in hot, humid Malaysia can't possibly have dry skin...). The closest shade out of these 5 is probably Toast, but it's still too dark and orange on me. I usually mix shade 370 Toast with 340 Early Tan or with 330 Warm Golden; i definitely prefer the warmth in Warm Golden over Early Tan though. Update: Shade 350 Rich Tan looks off on me when i tested it at Monoprix in Paris. I'm guessing shade 360 Golden Caramel would be my perfect shade - and it's frustrating that i can't even find that shade here in Paris! Stage Picture Perfect Foundation in 07 Genie - Too light for me. I do like the finish. Light coverage and quite natural. Stage Photo Pro Foundation in 09 Take 8 - Too light. I think this one suits me better than the Picture Perfect one though, but only because it's slightly darker. But this one might be less yellow than 07 Genie, so, i don't know. I'll always go for the more yellow one. Then again i've only worn these two Stage foundations for my tutorial and not for going out. I don't find myself reaching for them. The finish for this one is quite nice too though, so you're lucky if you can find your colour in Stage. Avon Ideal Shade Liquid Foundation in Pure Beige - When i first apply it onto my skin, it looks slightly ashy, but by the time i'm done with makeup, the foundation sort of "rights" itself into a colour that's really close my own colour. I'm assuming this is what people always mean when they say their foundation "oxidises". From what i understand, depending on either the skin or foundation, some sort of reaction will take place as sweat meets the foundation, and the foundation changes colour. I use a small amount of this for a light finish. Another problem with this foundation is the consistency. It's sort of lumpy...? It was already like that when i first opened it, so either it's a bad batch or, i don't know... Maybe it's meant to be like that? I kind of doubt that, but so far my skin hasn't broken out or get weird or anything while using this foundation. So i've been using it normally. So basically these are all that i've tried, and no i have yet to find the one. All of them have been relatively good to my skin too, no cases of breaking out extensively or allergy reaction or anything like that. But the colours are not quite right. Estee Lauder Double Wear - I haven't tested this on my skin, but if Temptalia's Foundation Matrix is to be trusted, i should try either shade Tawny, Wheat, Shell Beige or 5W1 bronze. MakeupAlley's rating on this one is very good too. Diorskin Forever - I tried one in shade 040, but i completely neglected to check which Diorskin Forever it is. If i'm not mistake there are two: Extreme Wear Flawless or Flawless Perfection Fusion Wear. But whichever one i tried (i REALLY need to go back to the counter soon), i loved it, and this is the one that i will most probably get out of all the ones i've checked out. The shade seemed pretty great too. However, my sister is using a Diorskin as well, but she doesn't like it. I've seen the foundation on her though, and it looked really good! So i'm not very sure what part of the foundation she doesn't like. But i'm definitely still leaning towards this one. Update: It turns out i tested the Flawless Perfection Fusion Wear. The price is a little steep for me, but this foundation is definitely right up there on my list. As soon as i get more ka-ching! Clinique Even Better - My shade should be either Beige, Honey, Cream Caramel or Deep Beige, according to Temptalia's FM. I haven't tested this out either, but i think Tanya Burr (Pixi2woo) has said nice things about this foundation. I've heard good things about Clinique's other foundations too, so i'll need to have a good look. Update: The dark shades that are available in Malaysia all look terrible on me. I have to put this on my "Foundation To Buy When Overseas". But i'm not in a hurry for this one though. Make Up For Ever HD - Also known as the foundation Kim Kardashian wears. Love her or hate her, you gotta admit, her makeup is always feh-LAWH-less! This was originally the foundation i was going to get, but i'm on the fence with this now. I really love a natural finish, and i have a feeling this foundation will not deliver that. Some have said it's sort of "plasticky", but i think they mean it in a good way. It will be perfect for those who really like the made-up look. I like looking made up too, but i mostly much prefer to look natural. I could be a150, 153, 155, 160, 165 or 173 (Temptalia's FM). Benefit Hello Flawless Oxygen Wow - I went to Sephora just last week, scouting for foundations, of course. I was in front of the Clinique section when a MUA came over and asked if he could help. When i explained my predicament, he asked, "Are you sure you want this brand...?" and i was like, "Oh?". He then brought me over to Benefit's shelves and immediately looked for my shade in Benefit's only liquid foundation to date (released just months ago). He picked two shades, one in Toasted Beige and Beige, i think. He tried both on my wrists, but the Toasted Beige one just looked better to me; the Beige looked like it would end up grey on my face. He did ask though, "Do you want to look natural or lighter? If you want lighter, opt for Beige". I am a big believer in people buying a foundation that matches their exact colour - in a world where most people think that being fair is considered "prettier". So Toasted Beige it is for me, then. He then proceeded to apply it all over my face, and i quite liked it. I just wasn't a hundred percent sure of the shade though. I'm still leaning towards the Diorskin i tried. But this is in my serious consideration too. The MUA seemed to think this is the best natural foundation you could hope to get now. And i do agree it's a great one. Lancome Teint Miracle - MakeupAlley's rating on this is quite good, so i went to Lancome's counter and tested the shade i think closest to my colour, which was 045 if i remember correctly, which would be called Sable Beige. The shade before and after were too light and too dark, or too pink, but then again i didn't look too closely. I actually applied this on the left side of my face only, and then i moved to Dior's counter and applied Diorskin on the right side of my face. I went into the car and immediately saw that Lancome's shade looks wrong on me. My chin became this whitish colour. So i will not be buying this anytime soon, because of the ashiness. I might look at the other shades again carefully though. Chanel - I don't know which of the 'Lumiere' ones i should try out. Since i need a more matte finish, Mat Lumiere seems like the right choice. But i don't know too much about the foundations from Chanel, except that Sam and Nic of Pixiwoo are big fans of them. And that's saying something. Nars Sheer Glow - I was so excited to see this with my own eyes in Paris' Sephora branches, since Malaysia's Sephora doesn't carry this brand. I've read so many reviews on this foundation, good and bad, and i can't wait to try this out myself. I've tested some shades and have decided Syracuse is my closest match. Tahoe doesn't look too bad on me either. But i've come to realise i have the tendency to buy foundations that end up too dark on me, so i'm leaning towards Syracuse. Many makeup lovers out there who are around the same MAC shade as i am seem to use Syracuse as well. I know that a lottt of people struggle to find the perfect foundation, but there's just no way around it. The best thing to do is do your search and educate yourself, i guess!